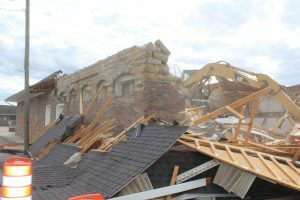 Once the Double Springs Post Office building and other businesses over the years the Traders and Farmers bank building in Double Springs came down in one day on Tuesday, October 24. But it will take a while to clean up. 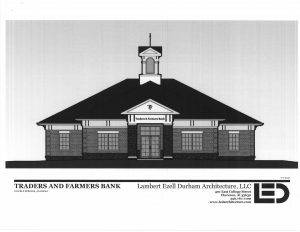 Once that’s done, construction will begin on the new bank building shown below. The Haleyville Schools Board of Education met Tuesday and approved the expenditures for September in the amount of $1,546,933.78. The Board approved the purchase of a new school bus after approving the classification of one bus, #96-2 as obsolete, surplus or unserviceable. The Board approved one use of school facilities two field trips and eight fundraisers. Under personnel, the resignation of Dey Riddle as a Speech-Language pathologist was approved along with the request to move Jyl Loden to part-time status. Also approved hiring Guy Rains as Social Worker under a professional service agreement. The principals of all three schools gave reports on their school activities and each recognized individual students for awards for outstanding achievement and leadership. The next regular meeting of the BOE will be on Tuesday, November 28. MONTGOMERY – The Alabama Law Enforcement Agency is set to begin enforcing the Alabama Mandatory Liability Insurance Law (Act#2016-361). 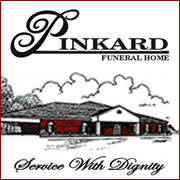 A single vehicle crash at 5:20 a.m. Monday, October 23, has claimed the life of an Addison man. Norman Otis Bartlett, 75, was killed when the 2014 Chevy Silverado pickup he was driving left the roadway and overturned. Bartlett was pronounced dead at the scene. 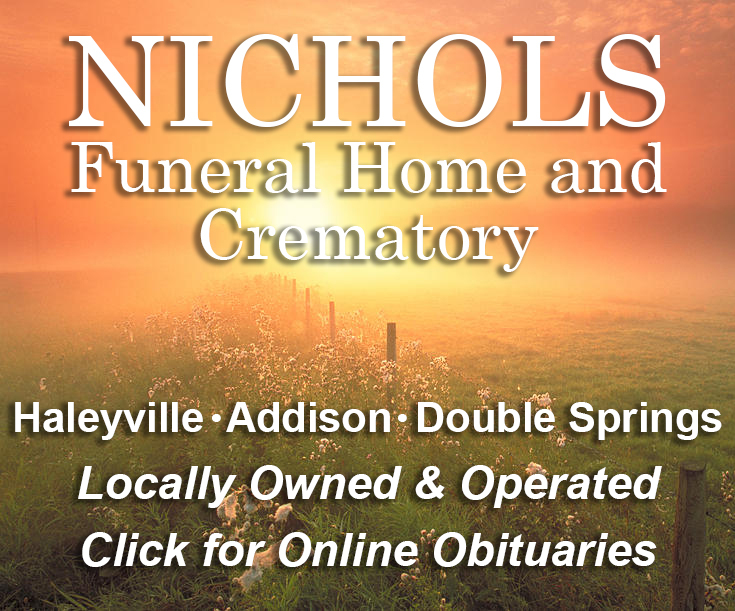 The crash occurred on US 278 at the 60-mile marker, approximately three miles east of Addison. Nothing further is available as Alabama State Troopers continue to investigate. The Haleyville Lions varsity football team defeated Dora Friday night for the last home game of the season `20-14. The Paradise 92.7 Lions of the Weeks include Antonia Reyes, Scott McAlpine, Cal Taylor and Jackson Kennedy. With only two games left in the regular season, the Lions will travel to Fayette this Friday night and the last game will be at Central of Florence on November 3. Listen to all the exciting play-by-play this Friday night with Butch Foster and Craig Wakefield here on Paradise 92.7. 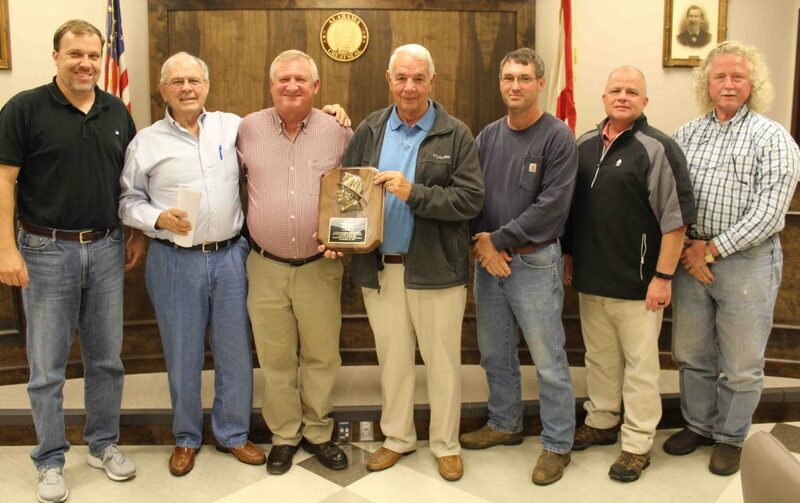 The Haleyville City Council met Monday with the longest agenda on record for this council. Mayor Sunseri and the council presented a plaque to retired Haleyville Fire Chief Phillip Weaver. Phillip has been a fireman for over 30 years. Roman Chase Banks of Jasper, Alabama is considered armed and dangerous. He is wanted for multiple felonies including stealing a car from the Walmart parking lot in Winfield. 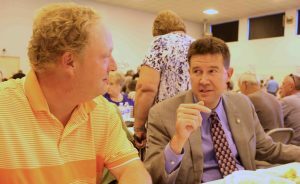 The bowls were not empty for at least 425 people at the Empty Bowls Dinner Thursday night at the Double Springs Municipal Building. Everyone enjoyed a host of savory crock pot soups and even two kinds of chili. The annual dinner is a joint project of the Winston County Arts Council and Main Street Ministries. 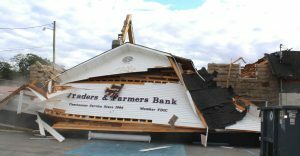 Both will split the proceeds which totaled $5,615. Both organizations thank everyone who came and enjoyed the fantastic food and just as important, a chance to socialize without a smartphone. It was a great evening! JOB QUALIFICATIONS: Must be a high school graduate or have an equivalent. Must pass the required Basic Ability Test (BAT), if applicable. Must have a valid driver’s license. Must be mentally and physically able to work in all kinds of weather and under hazardous conditions over sustained periods. APOST certification preferred, or be able to meet all the minimum standards as set out in Alabama Title 36-21-46 within a 6-month period. Full-time position includes BCBS Health Insurance, State Retirement, 13 Paid Holidays, Vacation, & Sick Time. Applications may be picked up at the Haleyville City Hall or the Haleyville Police Department located at 911 21st Street. Call Police Chief Kyle Reogas at 205-486-2427 for more information. E.O.E. – A.D.A.